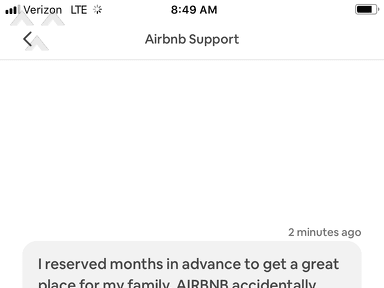 I made a reservation to travel to France with my entire family for months in advance. 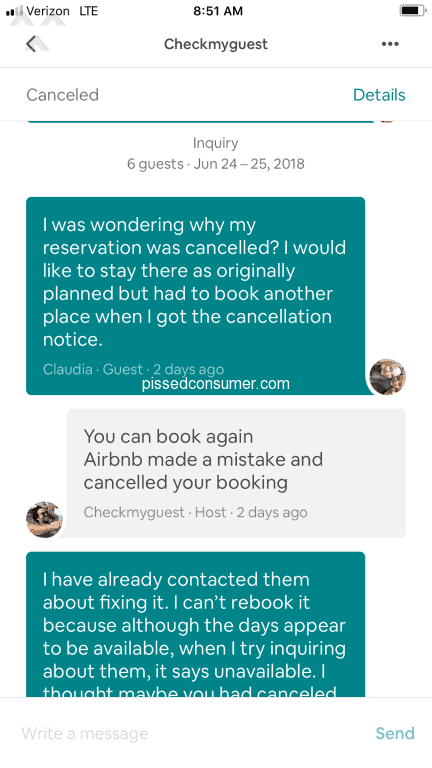 Two weeks before were supposed to go I get a message from Airbnb saying my reservations been canceled. 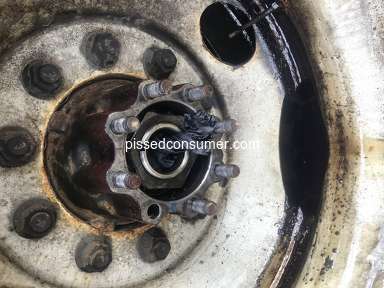 I was told I would get $200 for the inconvenience. 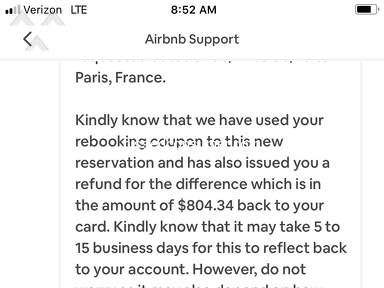 On short notice during peak Paris travel time I was unable to find nearly is good have a place to stay For my large group. 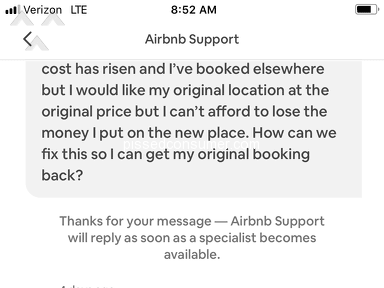 I found a small place further away but it was cheaper so I never got my $200 and they said it would take a week to 10 days to credit the Difference between the two booking that I paid. 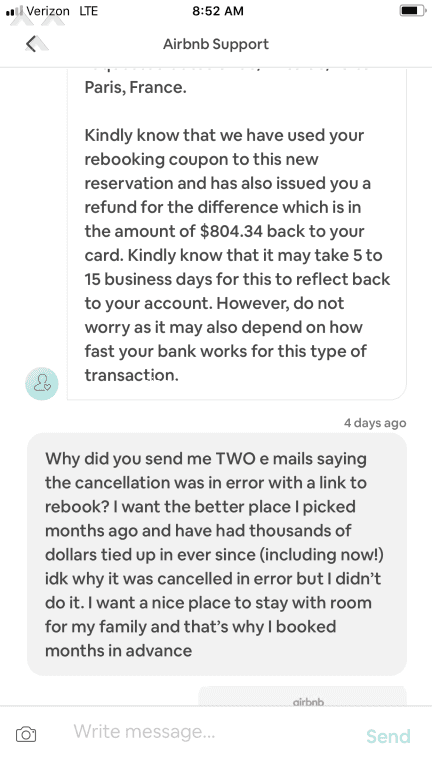 Two days later I get an email saying the cancellation was a mistake and click on this link to Reebok. 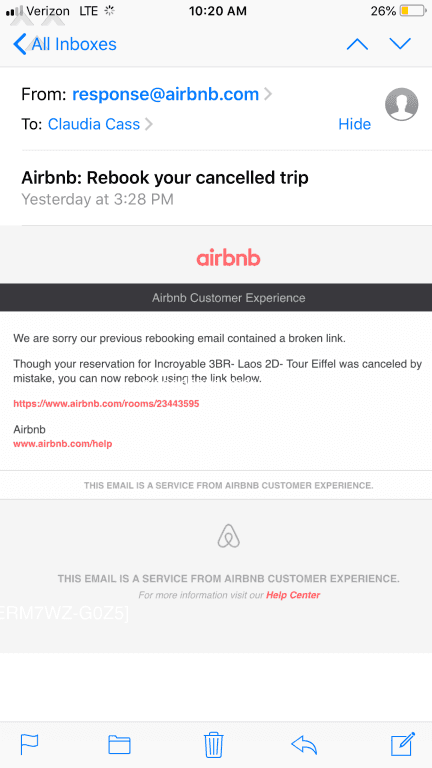 The link didn’t work I message to Airbnb to find out what was going on. 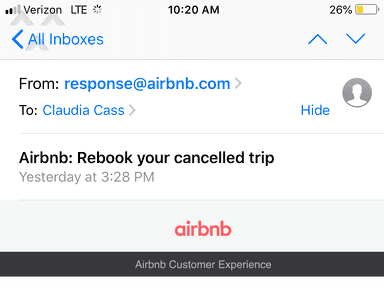 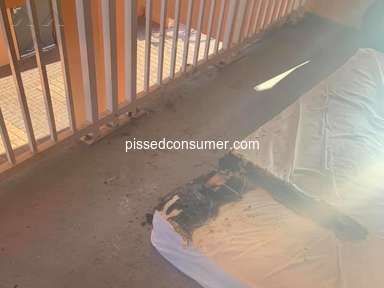 A day later I got another email saying sorry the last email we sent you had a dead link click here to rebook. 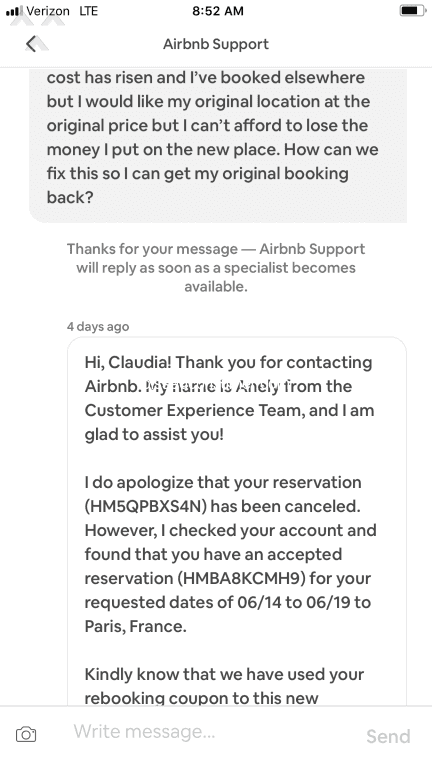 The link led to my original Paris reservation that I wanted I message them again saying I wanted to cancel the *** reservation I made and I want my original reservation back. 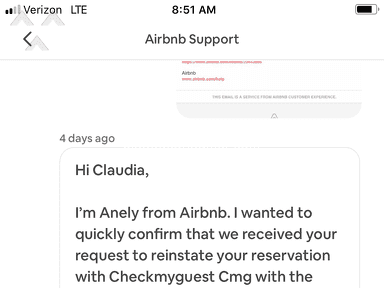 The support team answered me saying oh we see you rebooked. 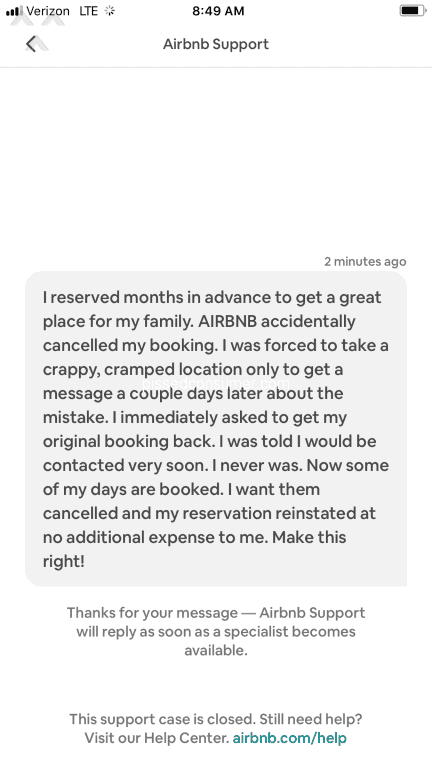 I reiterated I want my original booking back and when I went to that site those days were all available having just been canceled on me I messaged the host who said he didn’t cancel the reservation Airbnb Did. 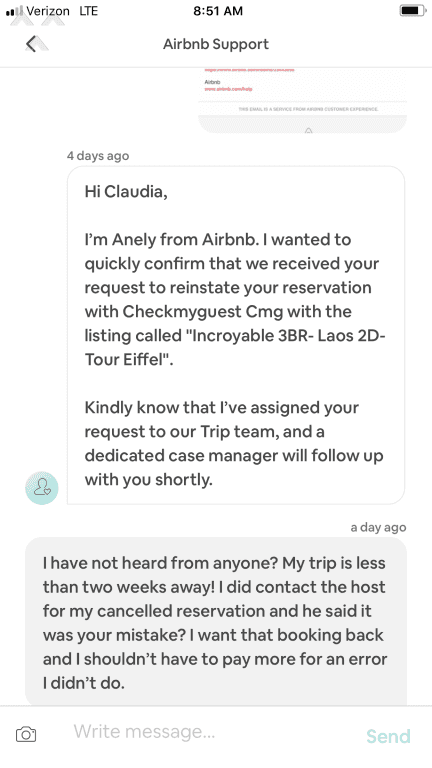 Airbnb said someone would be back to me soon nobody ever answered. 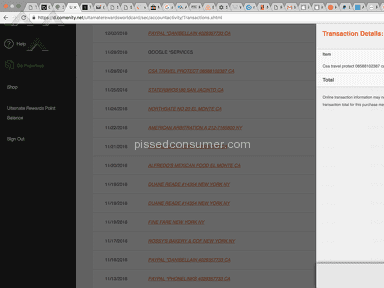 I messaged again saying I never heard from anyone. 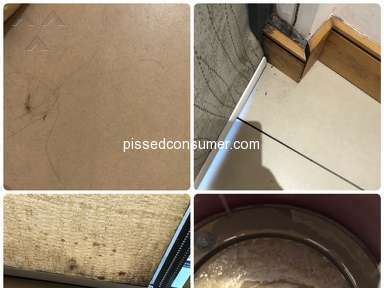 Still nothing. 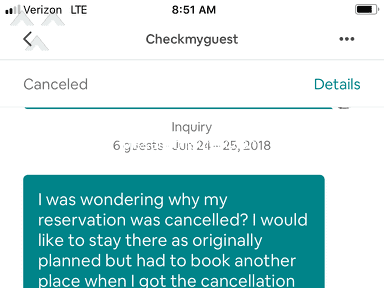 I looked and my original booking now some of the days had been booked I messaged again saying I want them to cancel those days and put me back in my original reservation it comes up with an auto message this case has been closed. 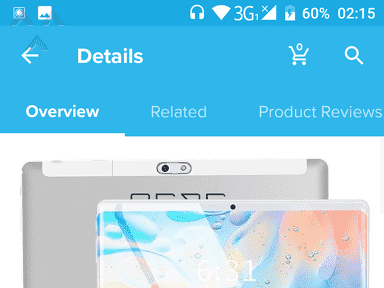 Review #1272307 is a subjective opinion of SomeAlligator.